The vast majority of our lives are spent indoors, and between work and home life, it can be hard to find the time to relax and get a breath of fresh air. All that can change however, with a beautifully constructed deck from Phil Howard Construction LLC! Getting outside regularly to enjoy your property is easy with a quality deck handmade by Phil Howard Construction LLC. With a wide range of materials to choose from, ranging from wood to composites, Phil Howard Construction LLC is sure to have the perfect material for you. And, thanks to our efficient, reliable service, it won't be long before you can spend summer evenings outside barbequing, or simply taking in the night sky. Deck construction is not as straightforward as it may seem—without a solid foundation, the deck won't be stable, and in just a short period of time it will collapse, at best causing costly repairs and at worst causing serious injury. Avoid any nasty accidents by calling the professionals at Phil Howard Construction LLC today to start planning the perfect deck for you. Our team is made up of skilled craftspeople with years of experience in the construction industry, and we direct the same level of care and attention to all the projects we handle, regardless of the size or budget. Whether you have something ambitious in mind, like a deck that spans the full length of your home, or are envisioning something a bit smaller, you can expect the same degree of customer care and quality workmanship that has come to define Phil Howard Construction LLC. Phil Howard Construction LLC is committed to giving you the deck you've been dreaming of. Decks are an excellent addition to almost any property; whether you're looking for a dedicated spot to place the grill or add a place for entertaining guests, Phil Howard Construction LLC's deck experts are ready to transform your dream into reality. Before we put anything in the ground, Phil Howard Construction LLC is sure to go over the plans for the deck, so you can make any last minute changes to the project. Your satisfaction is our top priority, so we want to make sure you're happy with how things look before we get started. After all, a Phil Howard Construction LLC deck lasts for a lifetime, so it's important you like the way it looks! Our deck construction services are backed by our quality assurance guarantee, so if you aren't entirely satisfied with your new deck, Phil Howard Construction LLC will work hard to find a solution. To receive a free, no obligation quote for our deck construction services, give Phil Howard Construction LLC a call today. 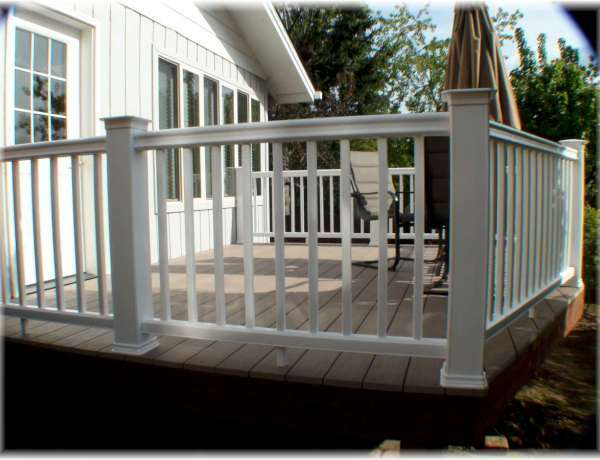 For decks big and small, made of hardwood or composite materials, we have you covered. Start enjoying the great outdoors with a beautifully constructed deck from Phil Howard Construction LLC, and pick up the phone and dial our number!